Researchers have now grown lung organoids from human embryonic stem cells (hESCs) that, after implantation in mice, can develop mature alveolar type 1 (AT1) and AT2 cells and architecture approximating that of human lungs. The strategy is the first to generate both lung distal progenitor cells and mature AT1-like cells. 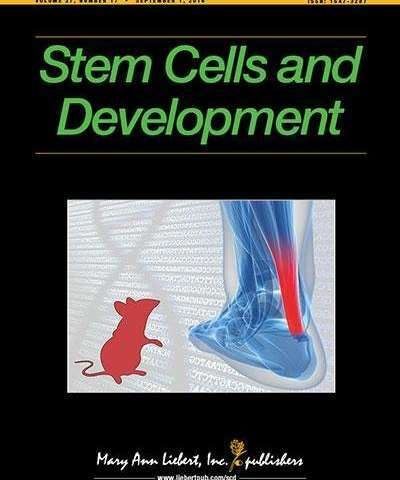 The study is published in Stem Cells and Development. "Using a relatively inexpensive protocol, the authors demonstrate human lung organoids derived from human pluripotent stem cells can generate mature alveolar type I and II -like cells after four months transplantation in a murine renal capsule model," says Editor-in-Chief Graham C. Parker, Ph.D., The Carman and Ann Adams Department of Pediatrics, Wayne State University School of Medicine, Detroit, MI.